Everyone's favorite blue dog is making her way back to television. 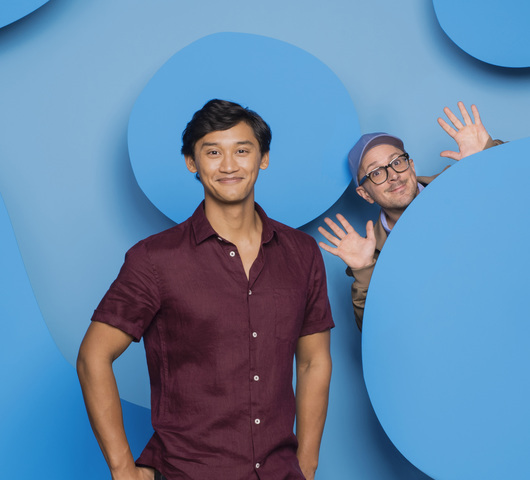 Blue's Clues is returning to Nickelodeon with a new title and a new host. Nickelodeon announced Thursday that the show is now called Blue's Clues & You. Broadway actor Joshua Dela Cruz will be the show's host. Original Blue's Clue's host Steve Burns helped out with the audition process. "I had the great honor of being a part of the search for the new host, and I give Josh two thumbs up! He can definitely fill my shoes, and the rugby shirt," Burns said. The new hosting gig will be the TV debut of Cruz. The search for the new host of Blue’s Clues & You was no small task, but we knew as soon as we met Josh that he was the perfect choice, said Shelly Sumpter Gillyard, Executive Vice President, Talent, Music and Events, Nickelodeon Group. From his genuineness to his comedic timing and range, there was no doubt that he could carry the show on for the next generation of preschoolers. Nickelodeon says production of the show will begin later this month. The first season will be 20 episodes.